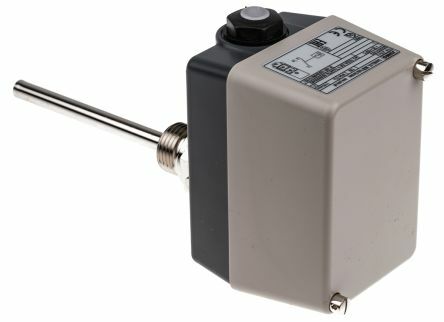 This range of capillary thermostats monitor thermal processes as temperature controllers or as temperature limiters utilising a microswitch reacting to fluid expansion as the switch. Switch points adjustable from outsidePUSH-IN connection technology shortens installation timeStable switch point position through ambient temperature compensationProtection rating IP54. For controlling and monitoring thermal processesSurface-mounting twin thermostats consist of two separate measuring and switching systemsThey work on the principle of liquid expansion; a microswitch serves as an electrical switching elementVersion with rigid shaftProtection rating IP54. 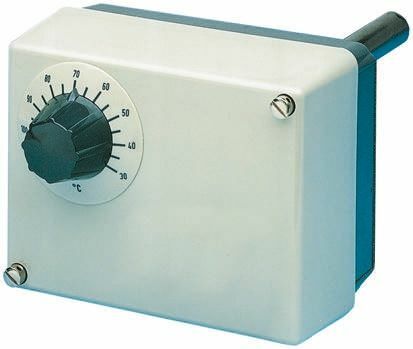 Universal temperature controller for distributor installation.Settings dial with range limitation. 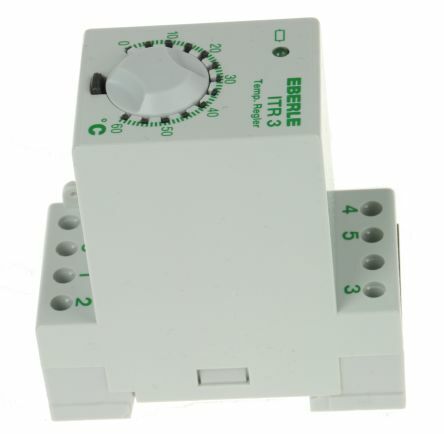 The control unit and detector must be ordered separately.For mounting onto DIN rail.Changeover output.Applications: floor heating systems and enclosed area heating.